HomeWho We AreBoard of DirectorsStephen Barry, Esq. 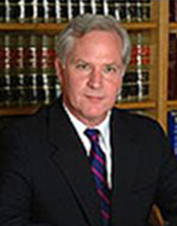 Stephen Barry directs the investigative and risk mitigation services for Barry Security, Inc. Mr. Barry served as a prosecuting attorney from 1987 to 1998 for the New York County District Attorney’s Office of Robert M. Morgenthau. While there, Mr. Barry developed investigative and risk mitigation skills that he used to serve the public interest. Mr. Barry has built on these skills since joining Barry Security, Inc. in 1998, and now has a proven record of assisting clients to bring their cases to successful and timely resolutions. Mr. Barry is currently the Executive Director of the Stephen E. Smith Cybercrime Center at John Jay College of Criminal Justice, where members from law enforcement, private industry and academia come together for education and training to strengthen information technology security. Because of his professional experience and relationships, Mr. Barry is a member of the New York Electronic Crimes Task Force (NYECTF) of the United States Secret Service. Mr. Barry is also a member of the Association of the Bar for the City of New York.